I can't live without. I LOVE YOU "
Its a Valentine's Day and I see everyone celebrating with cakes, chocolates, flowers. Amazed with the lovely posts my fellow blogger friends are posting this Love Month. My post might be little weird for the season. Yes! 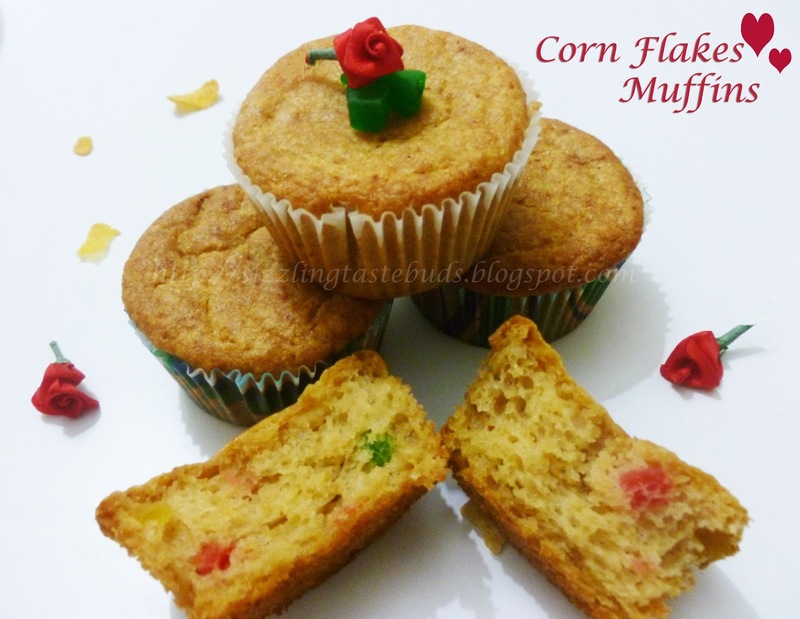 its a Muffins made of Corn Flakes. 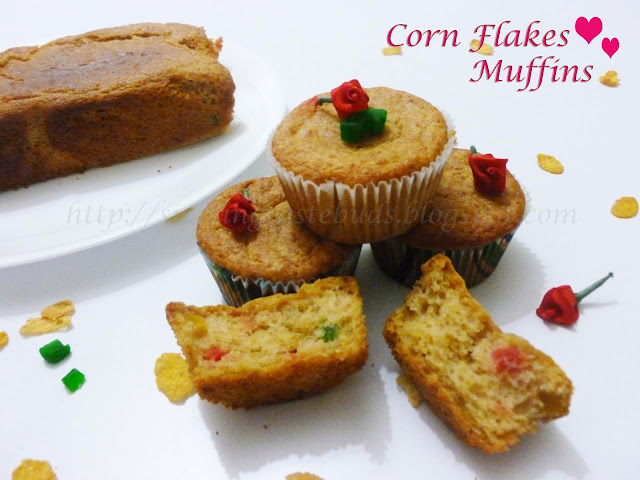 My son started demanding for some bakes and I saw some regular Corn Flakes lying on the shelf which is always ignored by us. Thought of using those for muffins. Since I have been into lot of baking these days, I thought of opting for some healthier baking version. Glad that my family liked it. 1. Coarse grind Corn flakes and keep aside. 3. Sieve flour, baking powder and Salt together. 4. Take a bowl and beat one egg along with oil. 5. Add sugar and flour mixture to it. Mix well. 6. Add milk and corn flakes. Mix all together till everything combines. 7. Place the paper cups in the cup cake moulds. Pour batter into these paper cups filling about 3/4 allowing the rest space to raise. 8. Place them in a preheated oven and bake for 45 mins at 180C . Timing and temperature differs from oven to oven. So bake it accordingly. 9. Once done, remove them from mould and place it on a wire rack for cooling. I poured the remaining cake batter into a loaf mould to make a Loaf Cake. they look great and spongy! !